This atypical focus consists of 5 glands surrounding a structure that is suggestive of but not unequivocal for a small nerve. 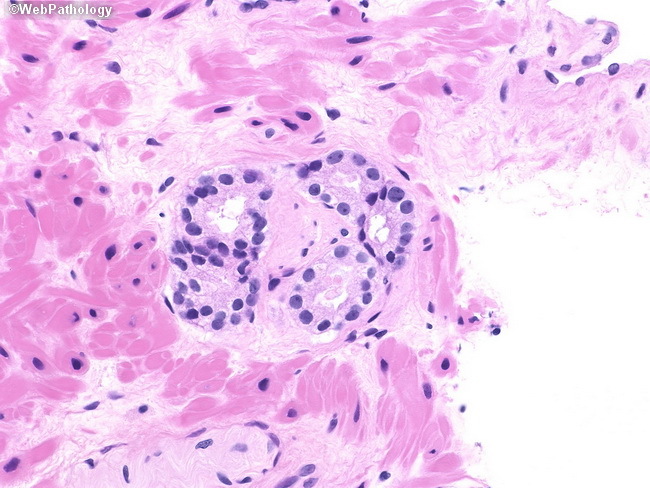 The glands appear to be lined by a single layer of cells and prominent nucleoli are readily apparent even at this magnification. The area of concern was present on only one level and lost on deeper sections. Immunohistochemistry could not be performed.